Ferrow, Snoden and Marcum capture Summit Super Series championships. Brainerd Optimist's Steven Ferrow (Top), I-64's Travis Snoden (Mod) and Ozark Raceway's Christopher Marcum (Junior) outpaced the Summit Super Series field to secure their spots in the Summit Super Series World Championships during this coming weekend's Summit World Finals in Memphis. Ferrow used a .032 starting line advantage and a .01 over against Gulfport's Gerald Franks in the final round. Not to be outdone, Travis Snoden blistered the tree with a perfect light to take out Mo-Kan Dragway's Shane Rees in the final round of Mod. In Junior competition, Christopher Marcum gave up a starting line advantage to Mo-Kan Dragway's Blaine Rees but drove the finish line to perfection running dead-on for the win. Knoxville Dragstrip rode the wave of an incredibly successful first round on Sunday to dominate the Summit IHRA Team Finals at Memphis International Raceway (MIR). Of the 29 drivers in three classes that Knoxville sent to the starting line for the first round, 24 of them came away victorious. That gave Knoxville a comfortable cushion over both the MIR team and the team from Holly Springs, which battled it out for second and third. It's the first team title for Knoxville in the four years this event has been hosted at MIR. Memphis won in 2012 and 2013 and Holly Springs was the defending champion. 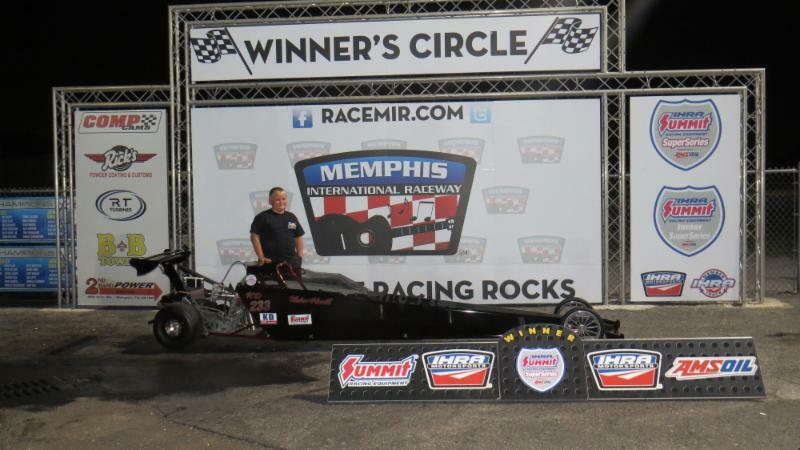 Kaden Harrill's win in Junior Dragster capped a dominating effort from Knoxville Dragway which won the Summit Racing IHRA Team Finals on Sunday at Memphis International Raceway. Knoxville ended the night with 54 points, Memphis International Raceway was second with 38 and Holly Springs Motorsports was third with 35. Each team was comprised of 30 members spread among three classes (Top, Mod and Junior Dragster). Each round win counted as a point toward that team's score. In the individual competition, Chad McKee of Milton, Tenn., won the Top class, Kenny Bomar of Memphis won Mod and Madisonville, Tenn.'s Kaden Harrill won the Jr. Dragster class. McKee squared off against Josh Baker of Nicholasville, Ky., in the final of Top. The drivers had identical reaction times and the difference at the finish lines was nearly as close. McKee crossed the line in 4.565 seconds at 144.01 mph on a 4.56 index, while Baker was a split second behind after finishing his race in 4.658 at 146.43 mph on a 4.65 dial. Bomar's win in his orange 1969 Camaro was decided at the starting line when his opponent Devin Grace of Friendsville, Tenn., jumped the green by .016 seconds. Although Bomar's victory lap was a breakout run of 6.689 at 100.50 mph on a 6.70 dial, the win was already secure when his opponent fouled out. It was an all-Knoxville Dragstrip final in Junior Dragster with Harrill running an 8.881 at 70.97 mph on an 8.88 dial to Caleb Cate of Knoxville's lap of 9.056 at 68.85 mph on a 9.08 index. 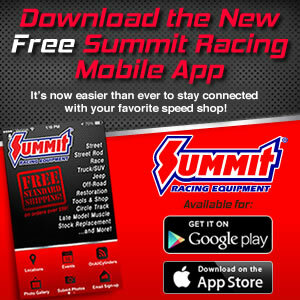 The races at Memphis International Raceway get bigger next weekend with the Summit Racing IHRA World Finals featuring Nitro Jam Nationals roll into town on Oct. 9-10.